The other day I was sat sorting through my makeup collection and doing a little organisation and I came across my old and trust MAC 217 brushes. Back in the day, I thought that these brushes were the best brush in the world. I don’t really know why I stopped using these, I think it was simply because I was trying out other brush brands for reviews and I think these just got pushed to the back of my collection. After digging these back out and giving them a good clean, I have been using them again and I am completely in love and that is why I thought I would share this review with you guys and let you know why I love them so much and why I am so happy to be using them again! The reason why I initially bought these brushes was for eyeshadow. I had seen so many people using this online and it looked like a great brush for adding a transition shade into the crease, so I went out and picked one up. It wasn’t until I bought this brush and tried it out for myself that I realised just how versatile this brush was and before I knew it, I was back in the MAC store and purchasing another 2 of them. I have used these for everything over the years from foundation application in precise areas around the eyes, blending eyeshadow, concealer and for contouring. It is just a stunning brush and I love reaching for them! I think that these brushes are most definitely worth the money that I spend on them. These brushes are around £21 each, which I think is a normal kind of price for a high-quality MAC brush. 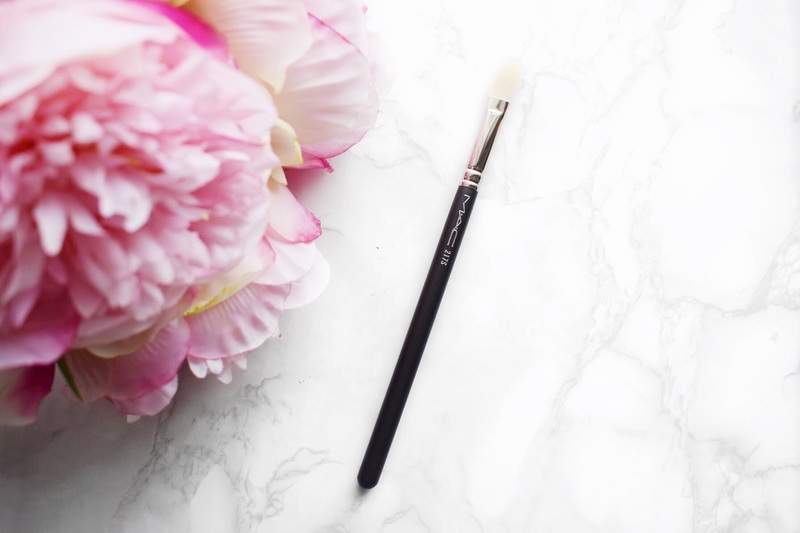 Over the years, I have tried out many brushes from so many different brands and I can very safely say that this is my favourite blending brush. I think there is just something about it, that really does put it a foot above every other kind of blending brush that I have in my collection. Whether it is what the bristles are made out of, the density or the bristles or the shape of them, there is just something about it that makes the brush a cut above the rest. I have owned these brushes for a very long time and I cannot even begin to think about how often I have used them or how many times I have washed them. All I know is that I wash them like I do any other makeup brush, using my MAC Brush Cleaner and these brushes always come out looking as good as new. The base products that I use them with like concealer always come out with no issues, however if I use these for dark eyeshadows such as deep red shades or blacks, it can be hard to get all of the pigment out of the brush. But, I think it should be expected with all makeup brushes that they do retain some of the product that you use them with, no matter how hard you scrub! Since my first love affair with these brushes, I have tried out other brands and they just don’t really seem comparable. I have been trying quite a few Morphe Brushes at the moment because they seem incredibly popular and even though I do think that they are nice, and they do the job, it is just not with the same ease as it is with the 217. I think that when it comes to brushes, you really do get what you pay for and if you pay £5 for a brush, expect the quality to match the price point that you have paid. I use these brushes every single day as part of my everyday makeup routine and I absolutely adore them. I think they the quality of these brushes is second to none and I adore reaching for them. Back when I was a freelance makeup artist, I would use these in my professional kit because the quality of them is just out of this world. 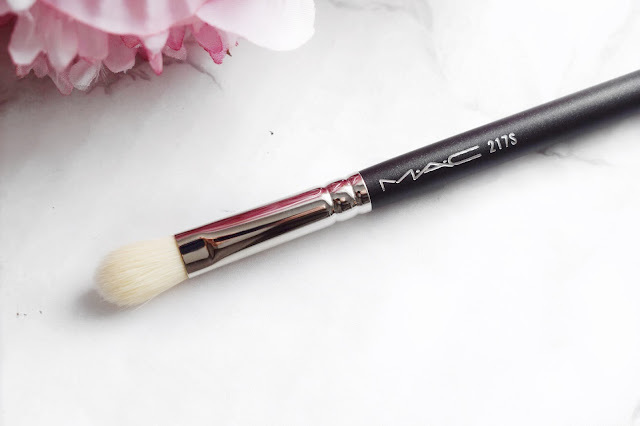 If you are looking for a blending brush, no matter if it is for creams, powders or liquids then I would look no further than the MAC 217. I think that this is a very talked about product and for a very good reason because the quality is incredible. Make sure to leave me a comment and let me know if you have tried this brush and what you thought about it! It is just amazing quality! It is amazing quality, blends like a dream! You have to try one, they are amazing! It is just a staple item that I cannot get away from! That is just so amazing, it cleans up like a dream! It is one of them brushes that I just cannot get away from! It is such an amazing brush, amazing quality! It is just so amazing quality! It is just such a staple item isn't it!